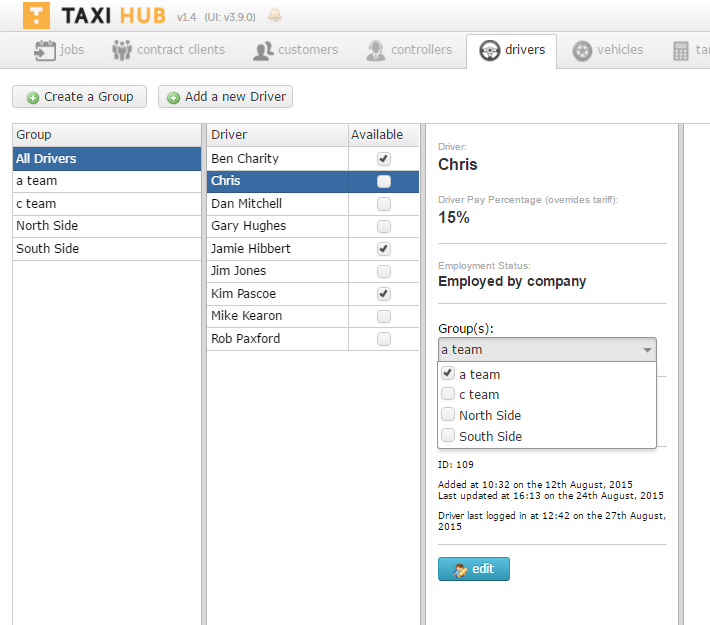 Driver availability is most important when using the “Auto-Dispatch” function in Taxi Hub. Within “Auto-Dispatch” you can select whether to allocate jobs according to their status on the driver app or those ticked as available within the driver area. This allows for the system to remain flexible and suite individual companies needs. To show a driver as available simply go into the “drivers” tab, select either “All Drivers” or a specific group, then in the “Driver” column click the tick box under the column title “Available” next to the drivers name. This will automatically save.